Finally finally finally. 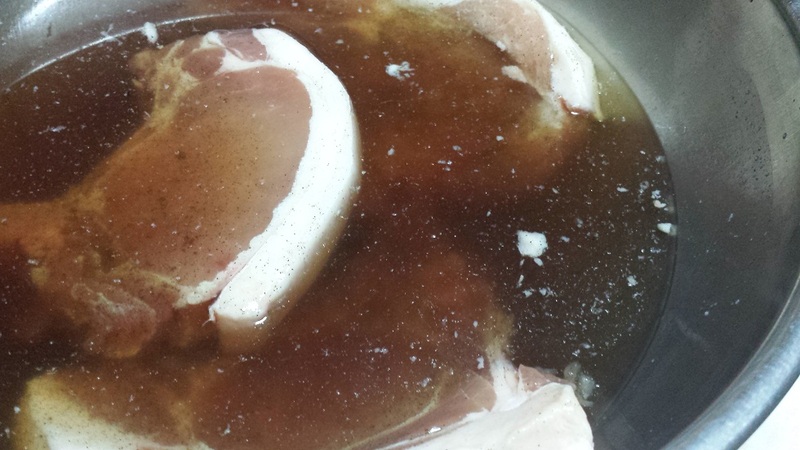 I have come across the recipe to make the perfect porkchops. 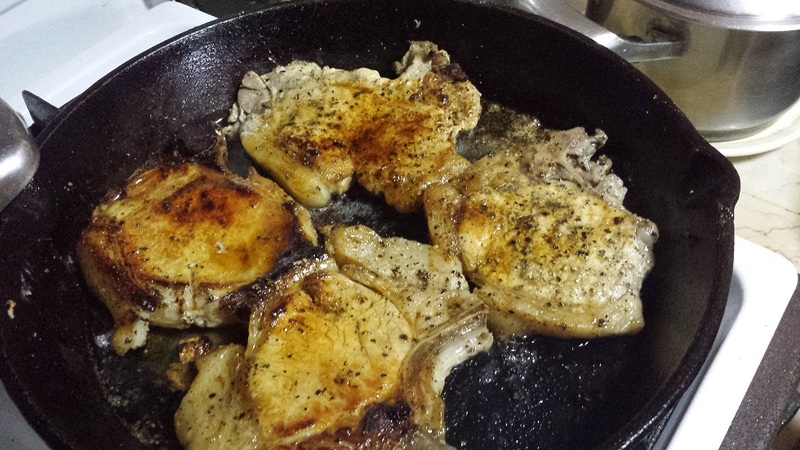 Funnily enough, I scanned all the porkchop recipes I have had in the past in this blog, and I already had the recipe! But I don’t know why it didn’t come out as great, like this one did, maybe I fried it wrong. But damn this one today. It was so good I could cry. In a bit of water, maybe 2 cups, I put in 1/2 cup sugar, 1/2 cup salt, and a handful of crushed black pepper. I heated this until the salt and sugar melted into the water. I mixed this altogether and asked ate Pines to add in about 2 cups of ice. Then came in the pork chops. These were marinated for about an hour. 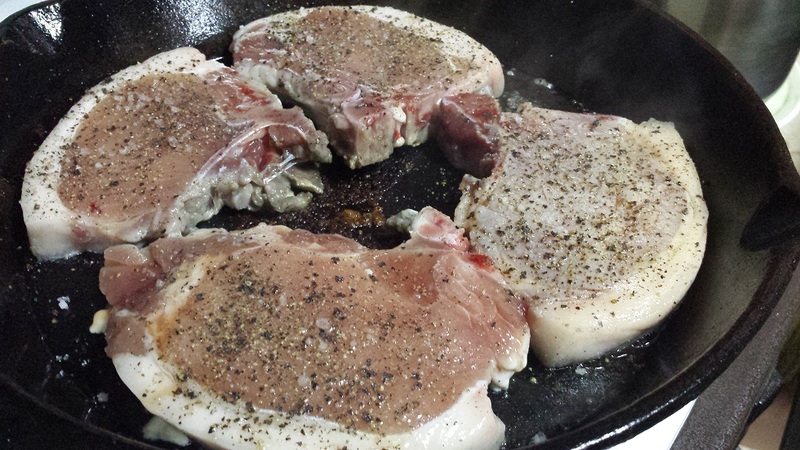 Then in a cast iron pan, I put a bit of oil, seasoned generously the pork chops on one side, then just pepper on the other side. Cook until done, and not over. It maybe took about 4 minutes on each side over high heat. Then that was it.